- 例句：People are buying books online bookstores are closing. People are buying books online. Bookstores are closing. People are buying books online; bookstores are closing. People are buying books online and bookstores are closing. People are buying books online, so bookstores are closing. Because people are buying books online, bookstores are closing. Bookstores are closing because people are buying books online. 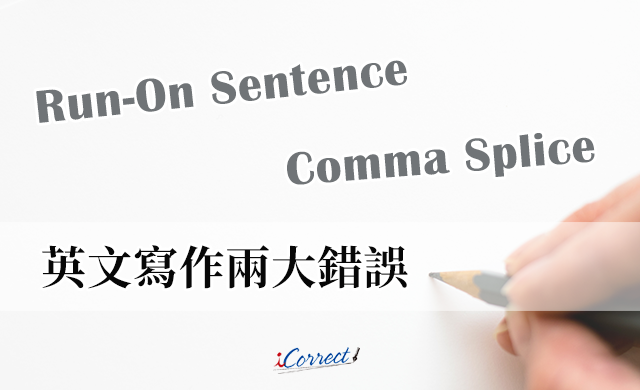 - 資料來源：Fix two BIG errors in English writing!